This is an open invitation to singles and couples to experience new food, new friends and Christian fellowship! 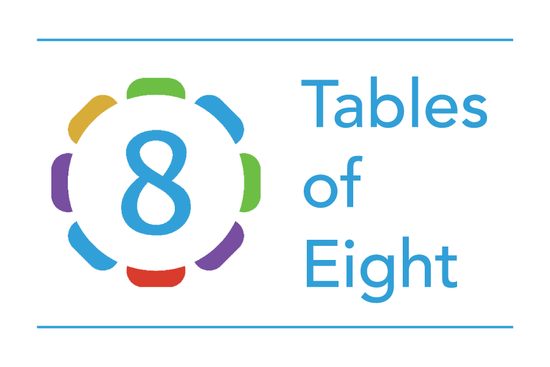 Tables of Eight provides an opportunity for couples/singles to have four dinners with 6-7 other members of the congregation over the course of a year amidst good food in the comfort of home. Sign up now! The fourth season of Tables of Eight is about to begin. We’re planning the menus and tasting the recipes and this year promises to be better than ever! We’ll also provide information on youth in the congregation who provide babysitting services. at the fall kick-off reception on September 16 you will be presented with the menus and recipes for all four dinners and will be connected with your Tables of Eight group. Ideally you’d be present on September 16 to meet your Tables of Eight group, however, we know that this date won’t work for everyone so we are willing to be flexible. Each menu is broken into four groupings, with number 4 always being the host/hostess. If each couple/member rotates to a different number for each meal by the end of the season everyone will have shared meal and hosting responsibilities. Each group is free to determine how they wish to divide the expense of the meal. Some may wait until the end of the year while other groups may divide the cost at the end of each meal. Each group can set their own calendars for their dinners. If you think you would like to participate, please indicate that below or use the gold sheet in the bulletin. Proof that you are not a computer generating this form.